We want our heroes to be fallible, because that’s where the drama comes from. If Barry never made mistakes, this would be a boring show indeed. In the past, we’ve seen Barry make some terrible decisions, suffer the consequences, and learn from them. Tonight was a little different, however. Barry behaved recklessly from the jump, and everything worked out just wonderfully for him. It’s an unsatisfying choice on the part of the creative team, especially given all the possibility for chaos that time travel always offers. Maybe that’s the problem. We’ve already seen how things can go horribly awry when Barry changes the timeline, so it comes as something of a surprise when Barry suggests it would be a good idea to travel back a year or so and learn how to increase his speed from Eobard Thawne-as-Wells. Everyone else on the team dismisses this as a terrible idea, because it is. In addition to all the usual problems that come with the unintended consequences of mucking around in the past, there’s also the fact that Wells is an evil genius who will have no intention of helping Barry once he figures out what’s going on, which he inevitably will. Granted, Barry is in a desperate position. He needs to increase his speed to beat Zoom and he’s running out of ideas on how to do that. (Although…maybe go to Mercury Labs for help? Isn’t that where Wells got the tachyon tech in the first place?) It’s still not a great look for the Flash, and it gets even worse when a time wraith follows him into the past. A what, you ask? You know, a time wraith! Apparently they’ve been a thing all along, but Barry has been lucky enough not to run into them until now. This Ghostbusters reject tears up Barry’s office at the CCPD, which gives Rick Cosnett the opportunity to make a brief but welcome return appearance as Eddie. Of all the bad ideas Barry has in this episode, at least he has one good one, giving Eddie the opportunity to record a “birthday” message for Iris to be played back when Barry returns to his own time. His message may be a little on-the-nose (”You don’t need me. You can handle everything on your own.”), but Cosnett delivers it with such beaming sincerity, it’s hard to resist. Also making a return appearance this week is Andy Mientus as Hartley Rathaway, as Cisco suggests the perfect time for Barry to make his return to the past is during the Pied Piper’s rampage. Instead of letting everything play out the way it did the first time, Barry remembers that Hartley used mini-bombs concealed in his earplugs to escape from the pipeline, and suggests that Cisco remove them. Never mind that this could have catastrophic implications for the timeline! As it is throughout the episode, however, fate is on Barry’s side, as Hartley is not only key to stopping the time wraith, he’s also a reformed criminal by the time Barry gets back to when he started. Everything’s coming up Barry! 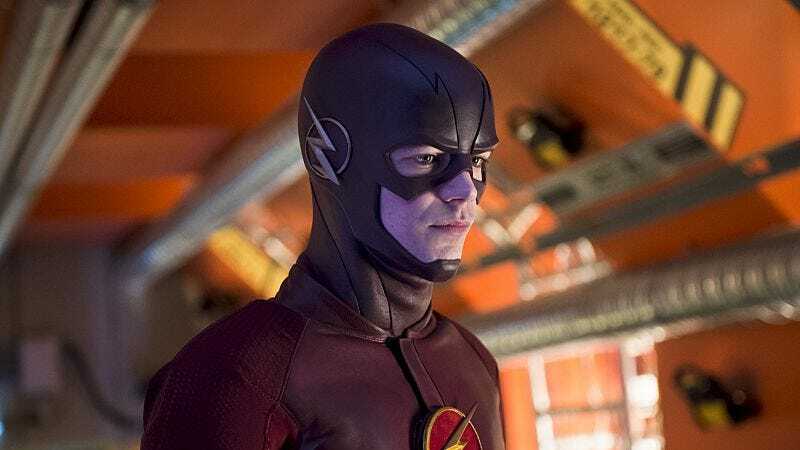 I don’t want to complain too much about an episode that gives Tom Cavanagh an opportunity to play both original recipe Wells and Wells 2.0, but it’s also way too easy for Barry to convince Thawne-as-Wells that he indeed triumphs and returns to his own time, so he might as well help Barry increase his speed. (But since Thawne now has a time-traveling Flash at his disposal, why not use him to get back to his own time?) There’s no real tension here, despite the few moments Thawne has Barry chained to his chair. Everything comes too easily, and despite the many opportunities for things to go wrong, nothing really does. Barry’s interactions with the past versions of his friends (and himself) are a little lacking too, although the Wrath of Khan bit is amusing. The result is an episode that feels more like pleasant-enough filler than a crucial chapter in the Zoom story. 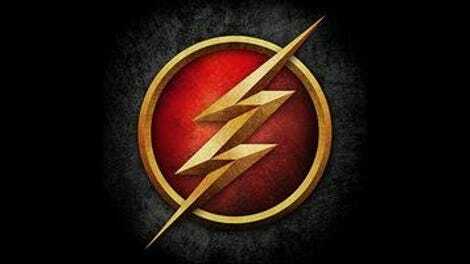 Yes, Barry has now acquired the speed equation, and that’s kind of a big deal, but there are other ways that could have happened. We’ve been sitting on the knowledge that Jay Garrick is Zoom for weeks now, and thanks to the CW’s scheduling, we’ll be sitting on it for a few more. Time-travel is usually an entertaining diversion, but it’s about time to get this show on the road. How about that delightful Flash crossover on Supergirl last night, though? I’d say Zack Snyder should have been taking notes, but there’s no chance that happened. As for how it ties into the ongoing Flash storyline, I’d say it’s an event yet to happen in our timeline, given the tachyon device Barry was wearing when he showed up on the alternate Earth. We’ll probably get a little call-out to Barry’s off-network adventure in an upcoming episode. Cisco rick-rolling the Pied Piper is classic Cisco. It’s time for another mini-hiatus, so see you back here on April 19.